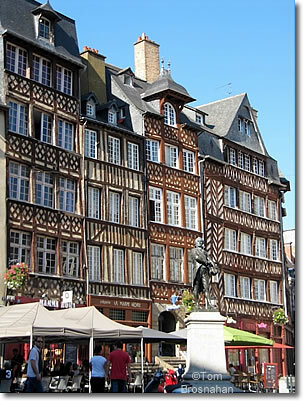 The conflagration of 1720 that destroyed many buildings in the historic center of Rennes was largely kept from the Place Sainte-Anne. Its wonderful medieval half-timbered houses now surround the square, making it the perfect location for a rest, a drink, a meal, and people-watching. Saturday is the day to visit Place des Lices, when the weekly market is in progress. Once the site of jousting competitions, it now hosts one of the largest markets in France. 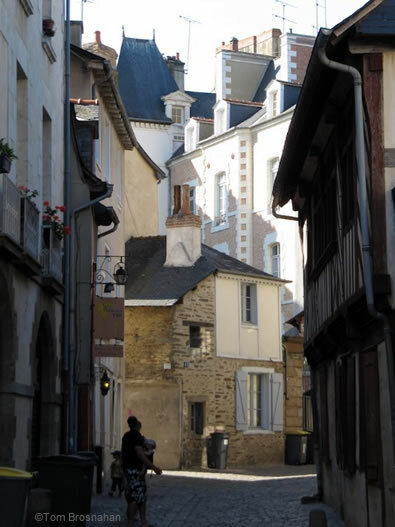 Nearby is the historic Porte Mordelaise, a gate in the old city walls. Constructed from 1688 to 1655 for the parliament of Brittany, the architect of this eye-catching building was the same as for the Palais du Luxembourg in Paris. It now houses the Court of Appeal. Have a look inside. Not that Rennes is an urban weight on your soul, but if you need a getaway to nature, stroll through the Thabor Gardens, 10 hectares (24 acres) of flowers and lawns, and an aviary. Inspect the French Garden, the English Garden, and the Botanical Garden of 3000 species. Brittany's history as an independent duchy, not part of France, is proudly proclaimed in the Musée de Bretagne in the Champs Libres building not far from the Gare de Rennes SNCF.